Kamala Harris Asks CBP: Why Do You Take Toys Away From Children in Your Custody? (CNSNews.com) - At a hearing of the Senate Judiciary Committee on Wednesday, Sen. Kamala Harris (D-Calif.) expressed more concern about the welfare of illegal alien children in U.S. custody than she did about the welfare of those same children on the perilous journey north, when they are subject to all kinds of injury and sexual abuse. 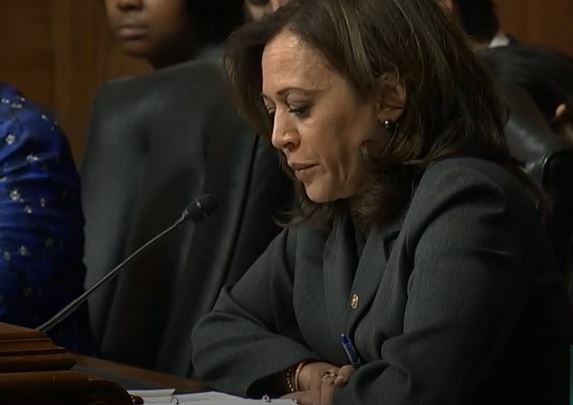 Harris was particularly concerned about allegations of sexual abuse in U.S. detention facilities; and about the removal of toys from children in Customs and Border Protection custody. "My staff visited the El Centro Border Patrol station in January, and officials there told them that there is a policy of taking away all toys from children and that that happens upon their arrival, which means, of course, that when the children are in custody at this station, they have no access to toys, books or any other means of mental stimulation," Harris told U.S. Customs and Border Protection Commissioner Kevin McAleenan. "Is this policy unique to El Centro, or is this happening in other detention facilities as well?" Harris asked him. McAleenan said all CBP policies are "nationally consistent," which means that toys and books are removed from children at all CBP detention facilities. Harris asked if CBP replaces the toys and books it confiscates from the children with other toys and books? "So we're trying to provide the most appropriate custodial setting for the brief period the children are with us," McAleenan responded. "And it's got to be safe, that's the primary consideration." "Do you believe that the children having toys would create an unsafe condition?" Harris asked. "It depends on the toys," McAleenan responded. Harris, interrupting, asked for examples of unsafe toys.